A specialist in Oral and Maxillofacial Surgery (OMS), Ph.D. degree in cancer research, anatomy and embryology. Graduated from the Faculty of Dental Medicine of the Hebrew University and was a senior lecturer in the Department of Oral and Maxillofacial Surgery at the School of Dental Medicine, Tel Aviv University until 2008. 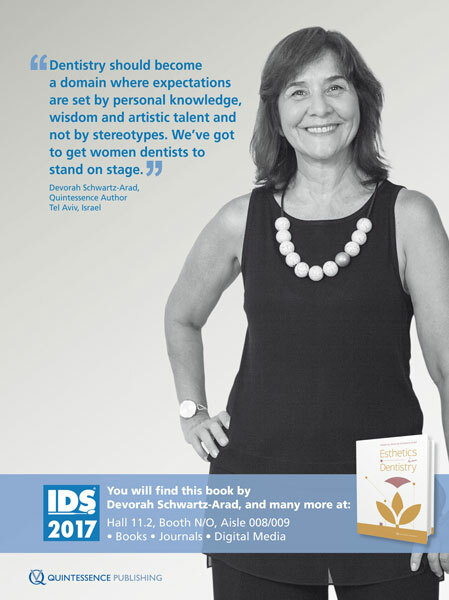 Dr. Schwartz- Arad is the author of 78 research papers focusing on immediate dental implantation, bone augmentation procedures for dental implants, the influence of smoking on the success of dental implants. Dr. Schwartz-Arad presented more than 100 papers in scientific meetings and she is a renowned national and international lecturer. She is the author and editor of the books "Ridge preservation & immediate implantation" and "Esthetics in Dentistry" published by Quintessence. Dr. Schwartz-Arad is the Founder and President of "Conflict and Dialogue" study club and she is heading the Schwartz-Arad Continuing Education center. Dr. Schwartz-Arad is the owner and senior OMS of Schwartz-Arad Day-Care Surgical Center. This impressive evidence-based textbook covers all aspects of immediate implant placement and immediate loading with the aim of helping practitioners attain an advanced level of clinical practice in implant dentistry. 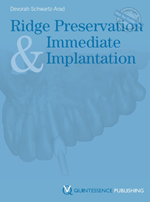 Chapters present the fundamentals of implant placement techniques, socket preservation, augmentation concepts, peri-implant soft tissue management, and immediate loading protocols, which constitute the basis for predictable, functional, and esthetic outcomes. This book provides additional insight into many topics of growing interest, including preoperative orthodontic therapy, dental trauma and dental implants, stress and anxiety in immediate implant placement, smoking and immediate loading, and management of complications. A final chapter on complex and unusual cases showcases the author’s surgical skills and underscores her mastery of all the presented concepts. It is a book to be read and reread by the serious practitioner of implant dentistry.